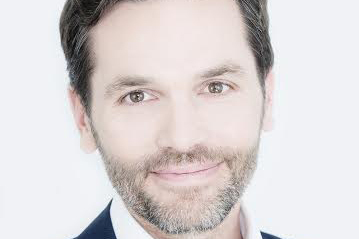 Xaxis has promoted EMEA chief executive Nicolas Bidon to global president, replacing Brian Gleason, who left the role to head Group M's new [m]Platform. As global president, Bidon will be responsible for guiding Xaxis’ overall company strategy, growth, client development and operational leadership. He will be based in London. It is Bidon’s third promotion this year, having been named EMEA CEO of Xaxis in July after being appointed global chief executive of native ad specialist Plista in January. At Plista he is credited with leading the company’s integration in to the Xaxis offering and launching it into new markets in the US, Russia, China and Norway. Before Plista he was managing director of Xaxis for three years and was previously at Yahoo for five years in business development and online advertising strategy roles. One of Bidon’s tasks as global chief executive will be to integrate Triad Retail Media, a digital retail media shop that Xaxis announced it would buy in October. The acquisition completed last week. Last week Group M announced it would launch a new data business, [m]Platform, that will bring its data, analytics and technology together from sister WPP agencies Kantar, Millward Brown and Wunderman. Gleason said: "Nicolas has played an integral role in the Xaxis success story over the past four years and we are pleased to welcome his leadership as global president. "His extensive knowledge of the Xaxis business, proven leadership ability and experience developing and launching new programmatic products across global markets makes him an ideal choice for the position."